While Dutch cuisine might not be as well-known as French or Italian fare, you'd be wrong to think that it consists of little more than raw herring. There are many Dutch delights that one could and should try when visiting our capital, and this is where to find them. The Dutch cuisine is as delicious (well.. some bits of it anyway) as it is varied, consisting of hot street snacks, heart-warming stews, thick tasty soups, traditional pies, vast pancakes (and tiny pancakes), and, of course, raw herring. What we are most renowned for, however, are snacks: from sweets to savory bits, us Dutchies know how to enjoy a great snack. Dutch apple pie is an institution, mark my words. 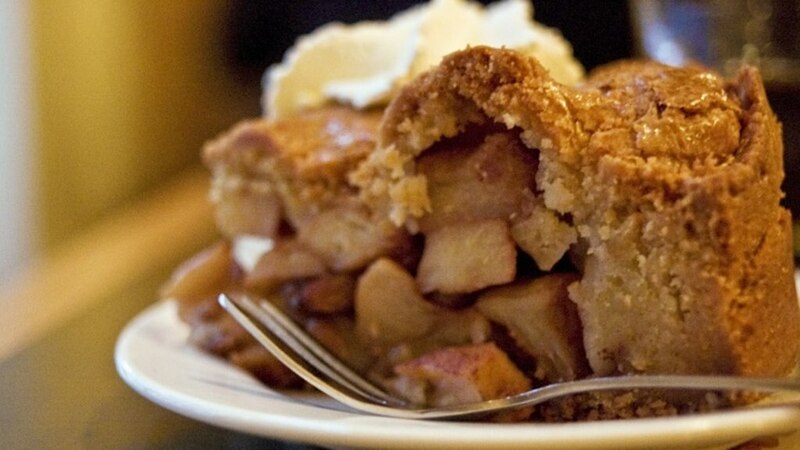 An appeltaart is a deep pie with a pastry top and bottom, filled with a mixture of slices or pieces of apple, sugar, cinnamon and lemon juice. Sometimes raisins or currants are added, too. Traditionally, the top of the pie is made from an attractive lattice of pastry strips, so you can see the filling through it. Enjoy it served with whipped cream and a cup of coffee. The best appeltaart can be found at Winkel 43 by the Noorderkerk. Visit on a Saturday, when the bustling Noordermarkt farmers market takes place on their doorstep. It doesn't quite top my late grandmother's apple pie, but..oh well. Bitterballen are deep-fried snacks that are ubiquitous in cafes and bars all over the Netherlands. 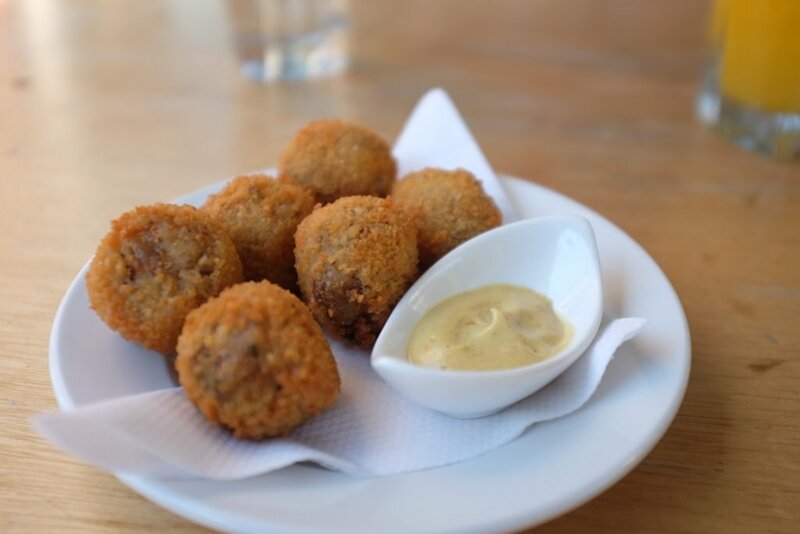 These savory orbs are battered in a crunchy breadcrumb coating and filled with a gooey and boiling hot mixture of chopped beef, beef broth, flour, butter, herbs and spices. They are typically served with mustard for dipping. If you have never tried bitterballen before, order them at any cafe in Amsterdam. They are typically served as a snack and are the perfect accompaniment to a round of beers. The best place to try them? Café Luxembourg is said to be the place for bitterballen. If you are vegetarian, be sure to get the veggie bitterballen at the Hoftuin. And if you want to sample something really interesting, try the Schipholgans bitterballen at MOES. These bitterballen are created with a filling of goose. And yes, these are actually geese that are killed around Schiphol (our airport) to prevent them from flying into airplanes. Bon Appetit! Related to the bitterbal is the bigger, oblong-shaped kroket. It is often enjoyed as a sandwich on a soft bun and you can get it at the famous food from the wall spots in Amsterdam like FEBO and Smullers. The best place to get it though is at the Van Dobben Eetsalon. Van Dobben is well-known for its kroketten and has been producing them ever since 1945. A Dutch children's favourite is poffertjes: small and fluffy pancakes made with yeast and buckwheat flour. These tasty treats are prepared using a special pan with several shallow indentations to hold the batter and make perfectly puffed small pancakes. 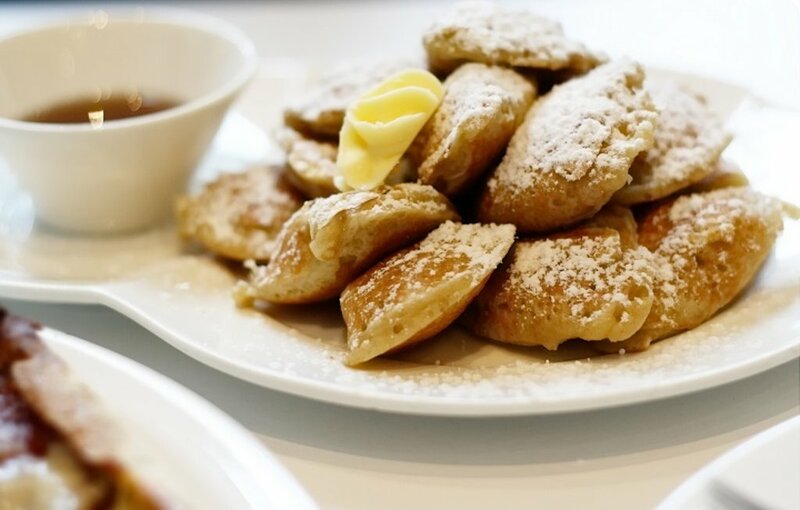 Poffertjes are typically served topped with powdered sugar and butter. Want to try these fluffy little pancakes yourself? The best place to go for poffertjes in Amsterdam is without a doubt De Vier Pilaren. 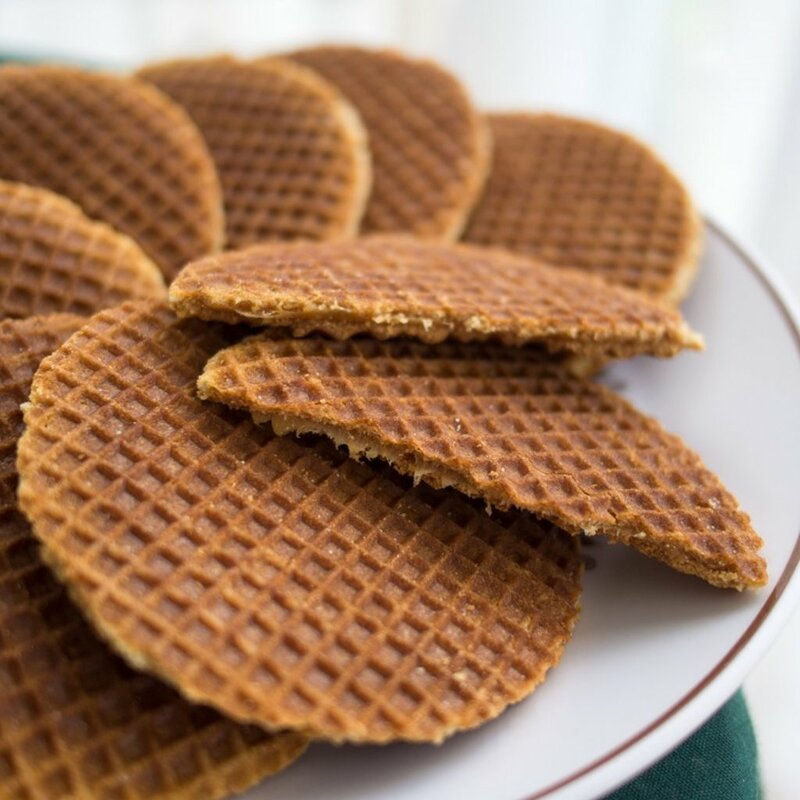 The stroopwafel (syrup waffle) is a delicious chewy cookie filled with caramel that was first made in the 18th century in the town of Gouda in the Netherlands. In fact, until 1870 stroopwafels were made only in Gouda and there were about one hundred bakeries selling these treats in that city alone. Thankfully, eventually Gouda stopped being greedy and shared the goodness with the rest of the world. This sweet snack is a waffle cookie made from two thin layers of batter with a sticky caramel filling in the middle. They can be bought in packets at nearly every grocery store and bakery in the Netherlands, as well as freshly made at street markets stands and festivals. In Amsterdam, you can find freshly-made stroopwafels at the Albert Cuypmarkt. Like to try some these tasty Dutch snacks? Book one of our Amsterdam hotel deals and prepare for a treat.